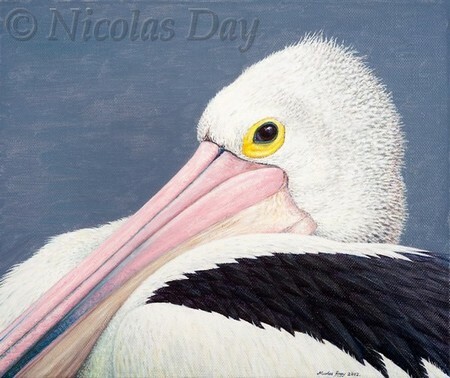 Australian pelican print from original painting by Nicolas Day. This bird stayed at rest a little longer than its companions as I approached it on a chilly afternoon. 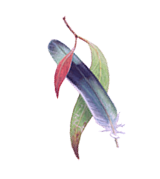 The subtly bright colours of breeding condition against the black and white plumage attracted me to it as a close up portrait study.